Beatles musical legend Paul McCartney may not look his age, but he is 74 years old today (18 June). His career as one of the world’s most famous singer-songwriters has spanned six decades, and has seen him evolve through a range of musical styles. 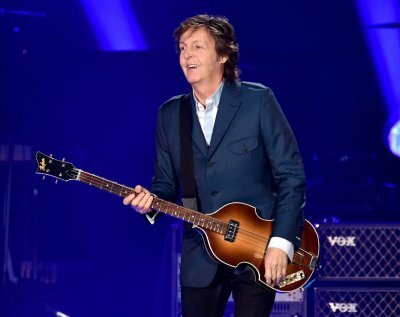 IBTimes UK reflects on the 21-time Grammy Award winning icon of British popular culture.Self-taught musician, McCartney, alongside bandmates John Lennon, George Harrison and Ringo Starr formed the legendary band in the early 1960s. With dapper suits and shiny bowl haircuts, the Liverpudlian lads stormed the charts and captured the hearts of young female fans across the globe.